Welcome to Stella Luna Skincare, a place dedicated to your well-being and relaxation. 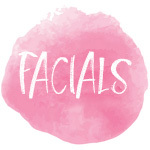 Alleviate your stress and nourish your skin with a facial. 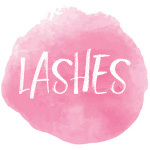 Pamper yourself with a lash lift. Whatever the treatment, we’ll help you to invest in your health and wellness with the latest skincare services, regimens and techniques. Referrals are the best compliment you can give us, when you refer someone to Stella Luna Skincare and they book with us, you both will receive 20% off on your next service. "EXCELLENT!!! Yerena is kind, explains each detail, and consistently asks if you need anything or want her to do something differently. Getting waxed can be painful and a little uncomfortable when you have to bare private area(s), but Yerena made me feel relaxed and not ashamed of my imperfections. THANK YOU!!"